Andreas von Chrzanowski a.k.a. 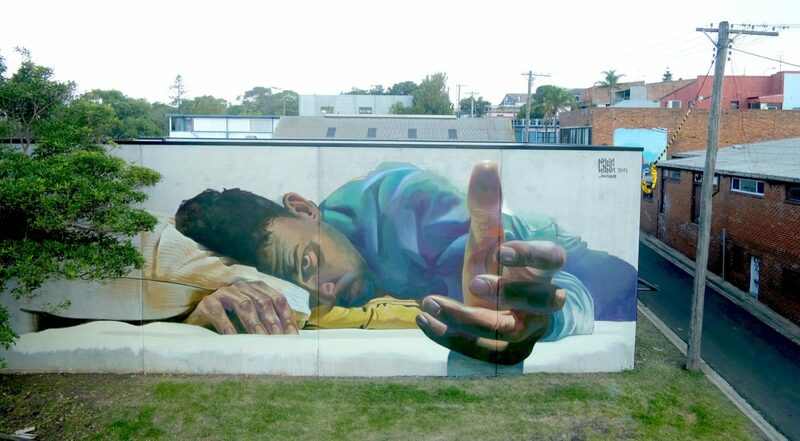 Case Ma’Claim just finished his latest artwork, contributing to the Wonderwalls Festival in Port Kembla, Australia. 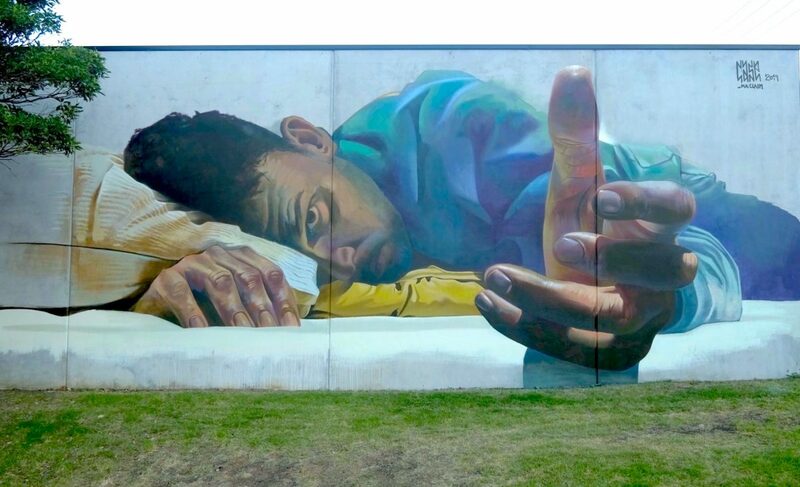 The mural is called „Awakening“, showing a photorealistic male, who’s (probably) laying in bed, stretching his hand out to the observer. This gesticulation generates a three dimensional „out-of-the-wall“ effect. The Wonderwalls Festival occurred from 15. 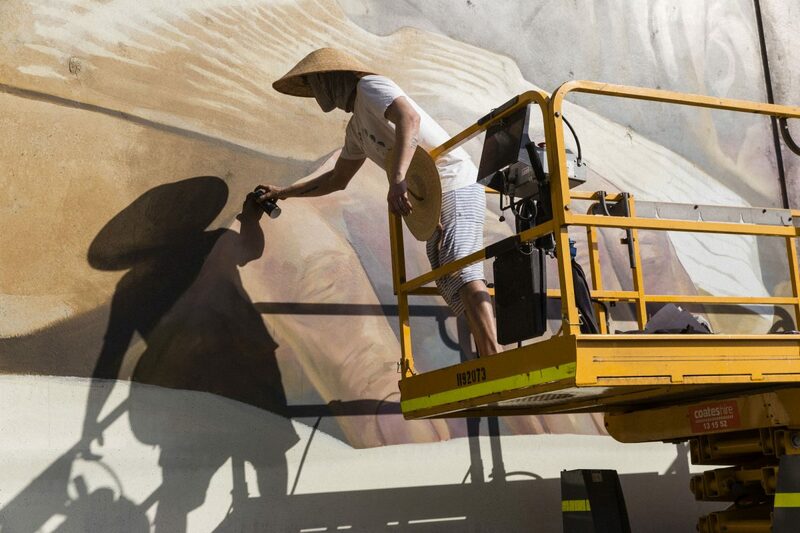 – 17. of February 2019, representing street artist from around the world. Port Kembla was an interesting location to celebrate the festival, since the town was originally more of an industrial region for coal mining, and is now trying to work on a better infrastructure for clean energy. 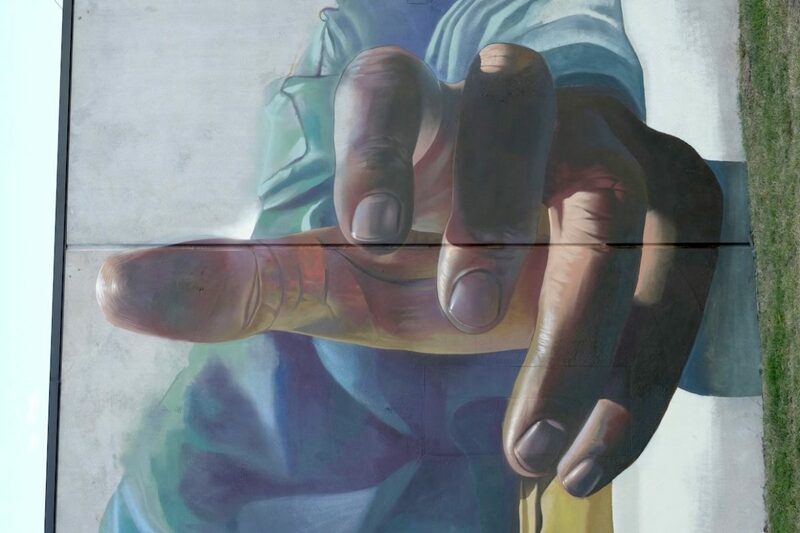 Veröffentlicht in contemporary art, Exhibitions, Festivals, Graffiti, Murals, Projects, street art, urban artGetaggt mit 2019, Australia, Awakening, case ma'claim, Port Kembla, Wonderwalls FestivalBookmark the permalink.